This salad is popular as a side dish for Inegol kofte in Izmir near Mimar Kemallettin Caddesi where office people eat lunch break. In UK is made with canned beans but you can soak dried beans overnight in cold water and rinse them before cooking in plenty of fresh water. Drain and rinse the beans, Mix vinegar, olive oil, salt and paprika in a large bowl. Add the beans and toss with the dressing. Cover and stir once in a while so the beans absorbs all the marinade. Add the tomatoes, onions and parsley and mix well. 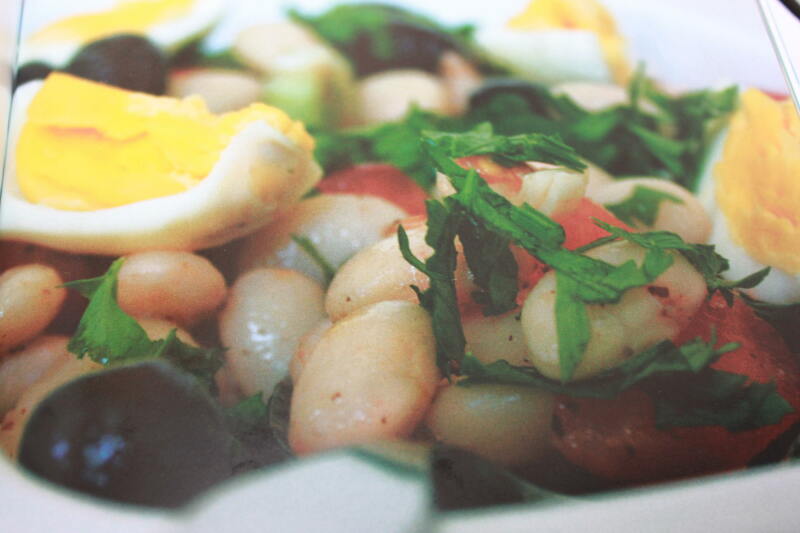 Garnish with the olives and eggs, sliced or quartered. Season with sumak or lemon and salt to taste.